The morning of January 18th 2005 kicked off the next step in the PBO Strainmeter installation process: coring of the drilled boreholes. 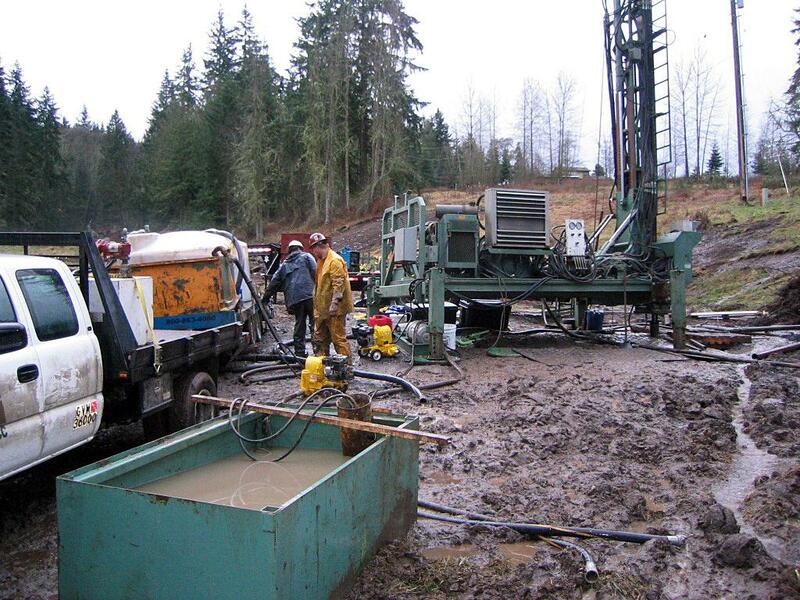 Coring began at the Goldbeck site, one of the eight boreholes drilled in the Pacific Northwest region. 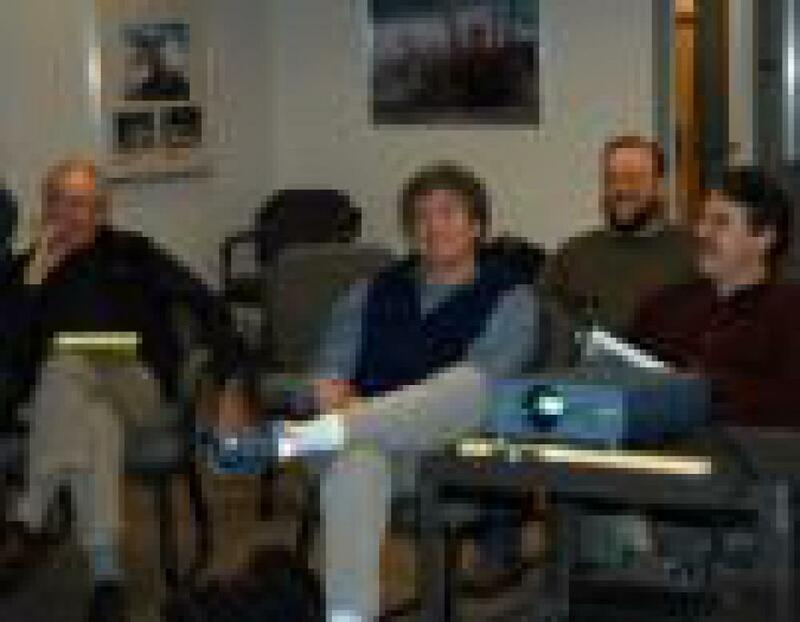 This next step is essential in determining whether or not the chosen borehole location is made up of competent enough rock to host a strainmeter instrument. 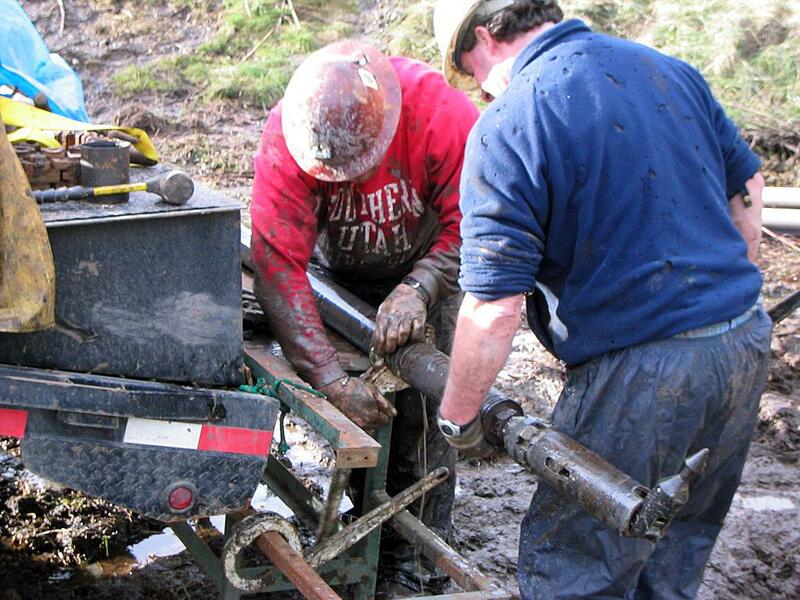 The coring process involves drilling through the bottom of the borehole using a special drill bit attached to a 10-foot barrel that captures solid cylinders of rock. These sections of rock are pulled out of the borehole and closely inspected to understand the composition of the borehole at that depth. 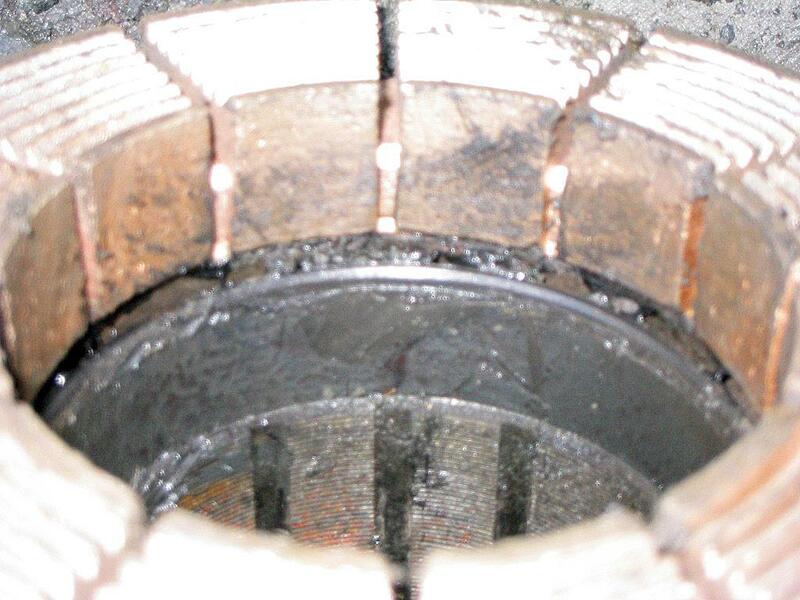 While some mechanical fractures may occur from the coring process itself, crews are specifically looking for an 8-12-foot section of core that does not contain any evidence of natural fractures. 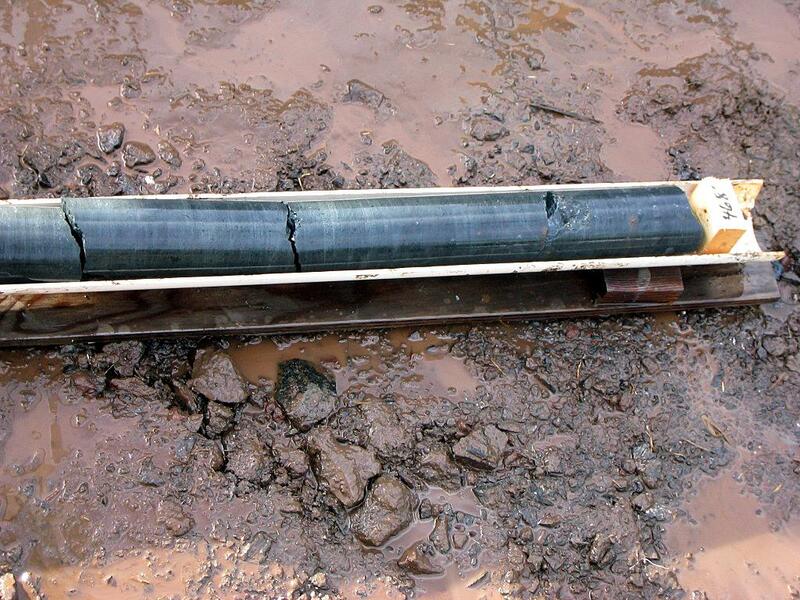 Oxidation and slicken sides in the core can be an indication of a natural fracture. 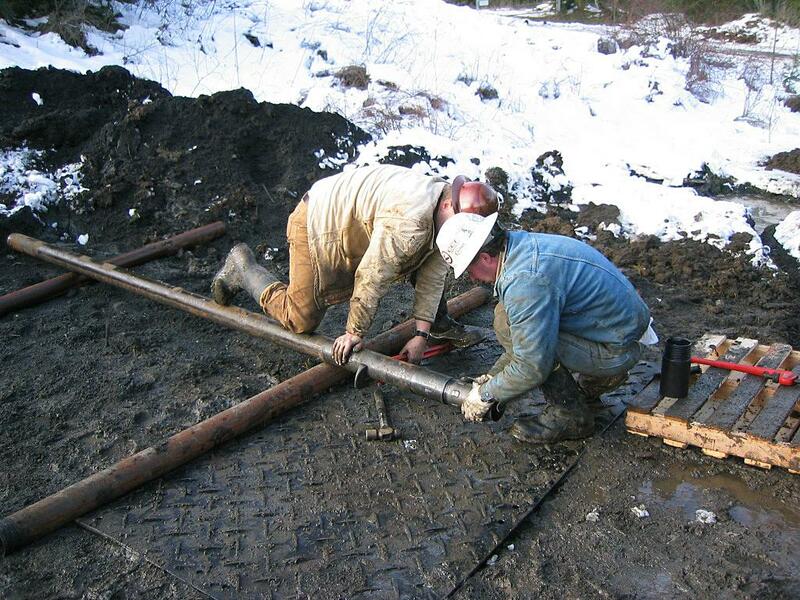 On average it takes about 3 days to complete the coring of one borehole. 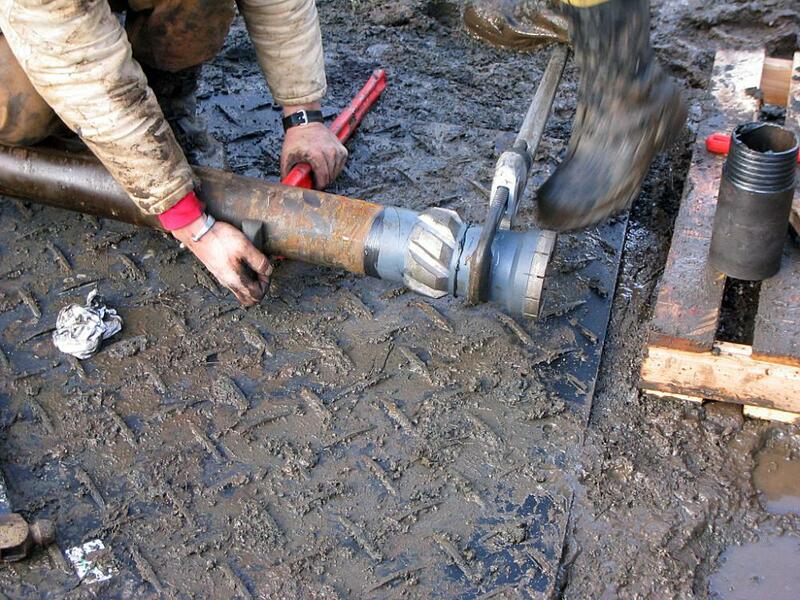 Approximately 30 feet of core is extracted each day, drilling at a penetration rate of about 1.5 inches per minute. By the end of day on January 20th, the results of the Goldbeck coring had proven the site to be an acceptable location to install a strainmeter instrument. After discovering adequate amounts of unfractured rock, the crews stopped drilling at a depth of 508 ft: a total of 50 feet below the bottom of the original borehole. 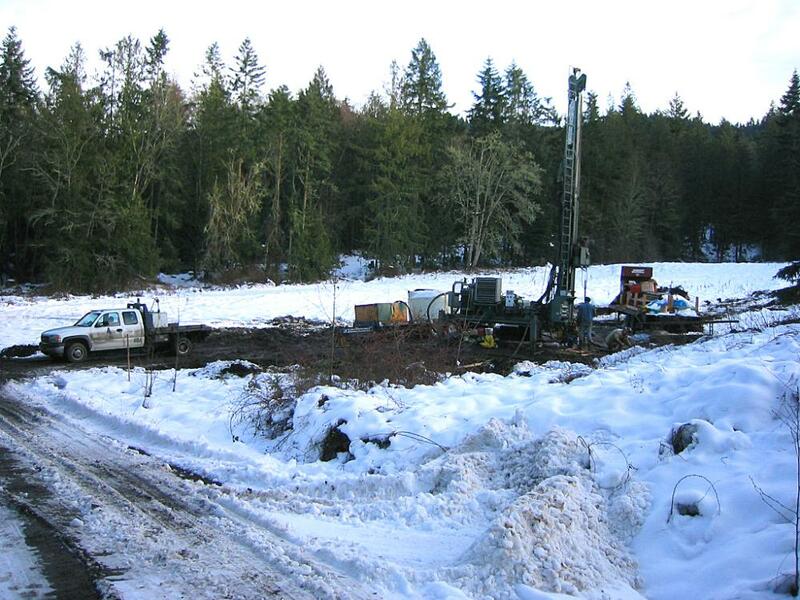 The drill rig and coring equipment have now mobilized to Clark East, the second borehole site to be cored. Waterlogged roads have made the mobilization process much more difficult than expected. Extra amounts of gravel need to be laid on roads to compensate for the extra soft terrain. Unfortunately, rainy and snowy weather has affected the efficiency of the coring process.